‘Karpick’ is a male native red maple cultivar that is noted for its narrow form, dense lateral limbs, andd noticeale red twigs. It grows to 40-50’ tall but only to 20’ wide. Red flowers appear in early spring before the foliage emerges. 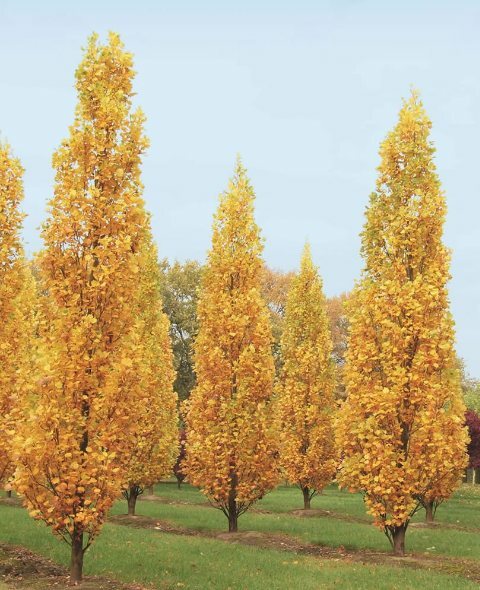 An excellent and hardy tree for a narrow space, it offers also a very good yellow to reddish fall colour. 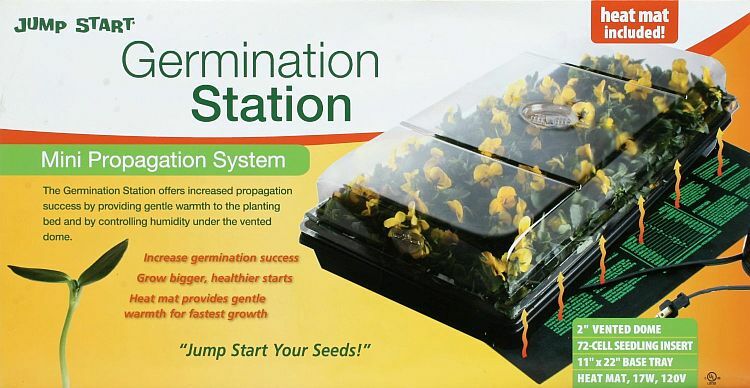 Adaptable to most soil conditions. 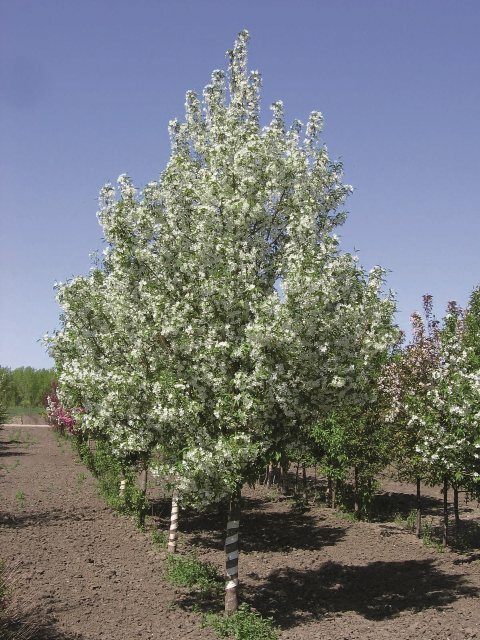 This new selection of the native Paper Birch has the traditional characteristics of snow white peeling bark and bright yellow fall foliage colour, but in a form that is distinctly more slender than the species. Birches grow fairly quickly, and this one does too - to a height of almost 50 feet by roughly 15 feet wide. 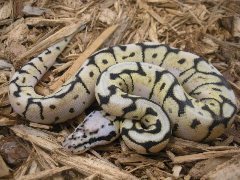 It's ability to tolerate many soil conditions, and thick dark green leaves in season, means that it might be useful for screening nearby neighbours. Like Joseph's coat, this is a tree of many colours! 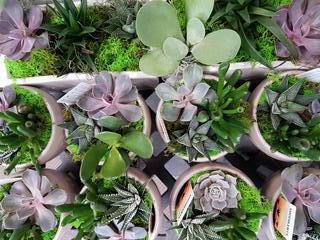 Leaves emerge green in spring, but by mid-summer those leaves exposed to direct sun takes on a bright yellow hue, creating an overall multi-coloured effect. White star-shaped flowers appear in late spring. As summer progresses, the yellow tones spread and intensify until autumn arrives, when the leaves turn bright orange-red. A vase shaped form, the tree will grow ultimately to 20 feet wide by the same size tall. This narrow growing selection of the native Tulip Tree offers the same, yet slightly smaller, medium green cello shaped leaves that turn a bright yelloww in the fall. While tulip trees do bear blossoms, usually it takes many years to do so and thus might not be considered a 'flowering tree' per se. This variety will grow ultimately at a medium-fast rate to 50 feet tall by roughly 16 feet wide in most well-drained soil conditions, and is a drought tolerant tree once established. 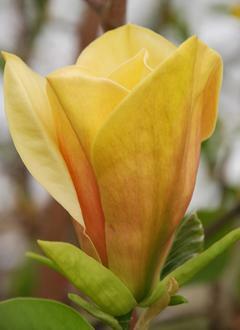 This magnolia was named in memory of a former president of the Brooklyn Botanical Garden, and boasts deep yellow, almost golden, flowers with a blush of plum at each base that works its way up the petals as the flowers mature. 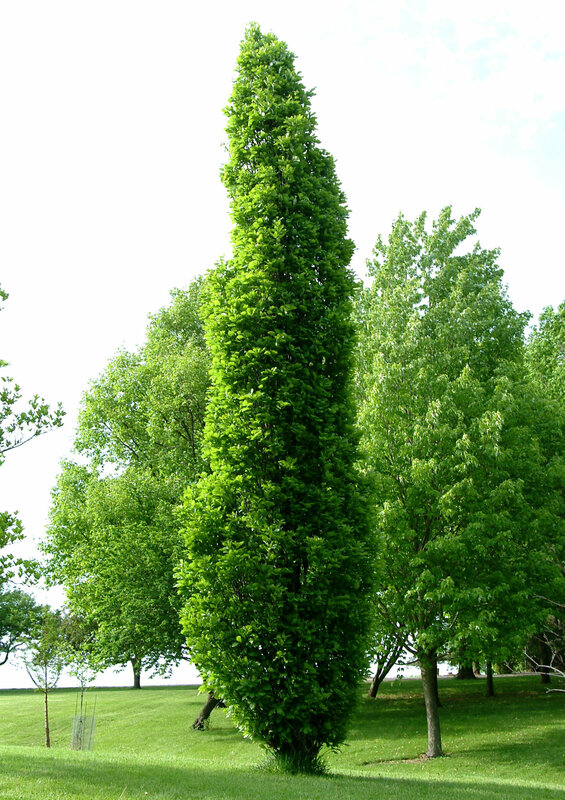 It is an upright, almost columnar, growing tree, and the early spring appearing flowers have a pleasant fruity fragrance, and bears a good show even as a young tree. 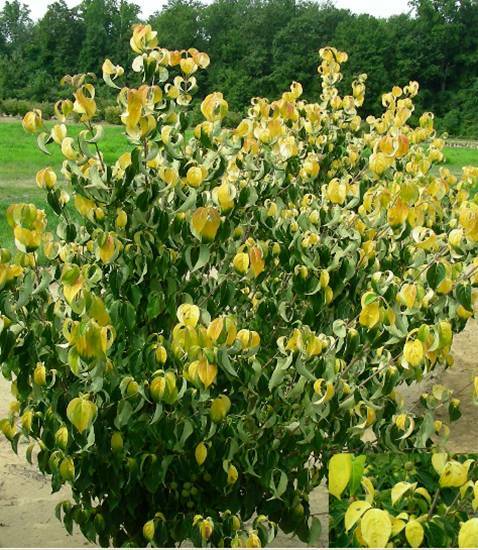 It grows to 20 feet tall by approximately 8 feet wide in full sun and well drained soils. Gladiator™ is an excellent ornamental tree with a profusion of bright pink flowers followed by small reddish-purple fruit on a stately, upright crown. 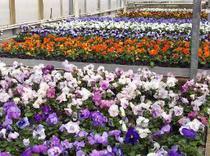 Glossy bronze-purple leaves look lush all growing season long and have high disease resistance. Gladiator is an ideal ornamental tree for space-challenged sites including under power lines, as a small boulevard tree or planted in a row for a screen. It grows to 20 feet tall by about 9 feet wide in full sun to light shade. This beautiful spring flowering tree has pretty white flowers set against dark green shiny foliage that turns a bright yellow in the fall. 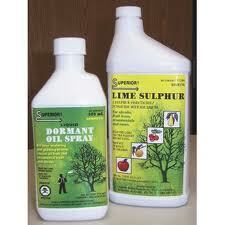 The tree offers an outstanding resistance to apple scab, making it as easy to grow as many other ornamental trees. It has an upright branching habit, growing to approximately 15 to 20 feet tall by 1/2 as wide in full sun. The fruit is an impressive ornamentald feature too, as it is very small, shiny, bright red and is retained on the tree well into the winter months contrasting with the white landscape. 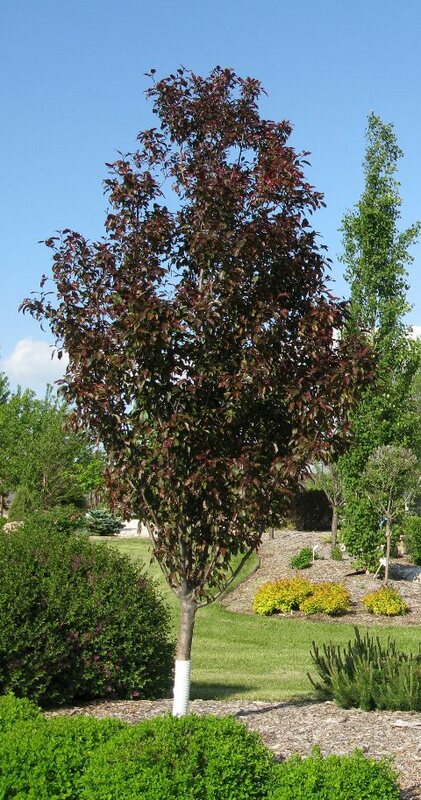 This pretty ornamental purple-leaved accent (a cousin to Purple Sand Cherry) typically grows as a dense, upright-spreading tree to 15' to 25' tall. 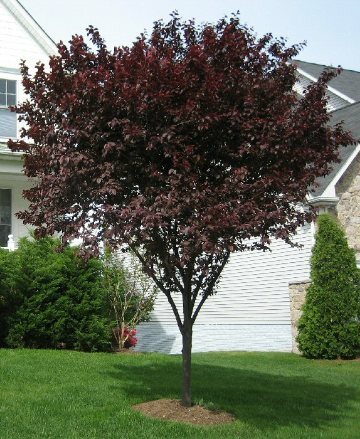 It is popular as an ornamental landscape tree in large part because its showy purple foliage retains excellent color throughout the growing season. 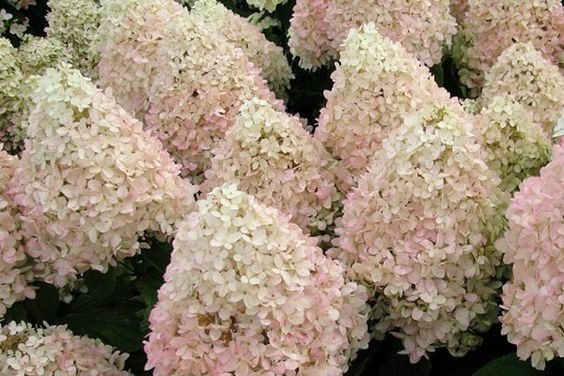 In early spring, fragrant 3/4" light pink flowers bloom abundantly before the foliage emerges. After the flowers finish, the leaves emerge ruby red, but mature to dark reddish-purple. Flowers are followed by 1 inch small edible cherry plum fruits that are favoured by birds and other wildlife. Among the tightest of columnar trees, its growth habit, mildew and drought resistance, and tolerance of urban soils make this hybrid of English and swamp white oak ideal for narrow city streets. A sister seedling of Regal Prince, the foliage is less glossy but the form is significantly tighter. 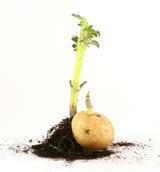 It grows 30 feet tall by 6 feet wide in sun and will tolerate most soil. 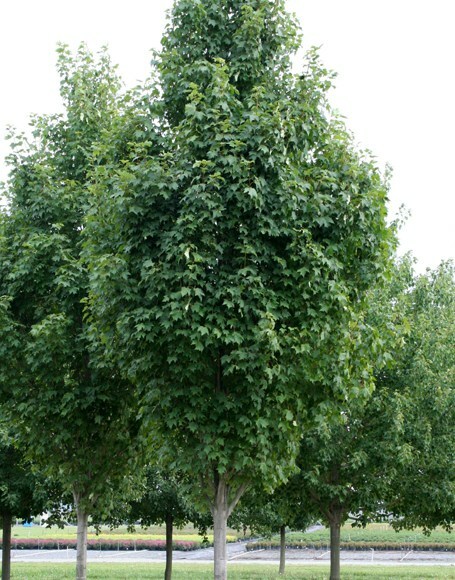 Linden trees are beautiful additions to the tree canopy, with clean dark green summer leaves, dense form and outstanding yellow fall colour. 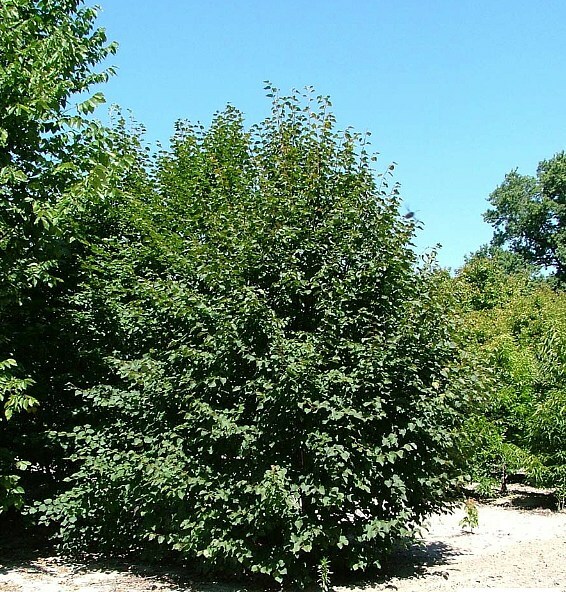 This new cousin to Greenspire Linden grows more compactly to a size of 25 feet tall by 15 feet wide, and is more suited to smaller urban spaces where it can cast shade to a smaller space rather than the entire yard.